Pott’s disease is an infection of your spine, which is also referred to as tuberculosis spondylitis. Induced by an extra-spinal illness, this condition is a mixture of arthritis and osteomyelitis. Pott’s disease is often accompanied with strong neurologic deficits that make it an extremely dangerous disease. The connecting neural structures become compressed, leading to substantial deformity of the spine in Pott’s disease. This is why it is important to have this condition diagnosed early so you are treated as soon as possible to avoid serious complications. Potts disease is activated when the tuberculosis bacillus ‘mycobacterium tuberculosis’ infects your vertebral column. Potts spine results in the softening or even the collapse of the spine. The disease usually produces an odd looking curvature in your spine. This condition has been named after Sir Pervicall Pott who was a renowned English surgeon. He described the condition in a study published during 1779. Pott’s disease starts in the vertebra which is also the common attacking site of the notorious bone tuberculosis. It gradually spreads towards the contagious structures of the body. Abscesses tend to form and begin draining into the soft tissues, resulting in severe pain in areas far off from the infection’s attacking point. You need to look for the following signs for spotting Pott’s disease. An aching back is one of the earliest symptoms of Pott’s disease. This pain can be radicular or spinal and tends to equally affect the lumbar and thoracic spinal segments. They make up about 80 to 90 percent of the sites of spinal tuberculosis. Neurological problems take place in around 50 percent of the spinal tuberculosis cases and comprise of compression of the spinal cord along with paresis, pain in the nerve root, paraplegia, impaired sensation and cauda equine syndrome. Almost every patient suffering from Pott’s disease experiences some kind of spinal malformation, including kyphosis which is the most commonly occurring spinal deformity in Pott’s disease. It is a curve in your upper back that gives you a hunchback. 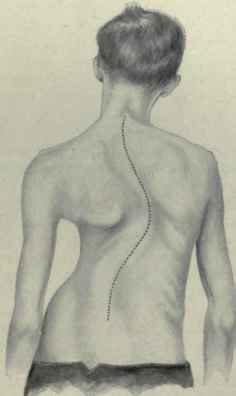 You may even develop Pott’s paraplegia which is a paralysis of spinal nerves caused by kyphosis. These include night sweats that are accompanied with a fever in the daytime, weight loss that occurs with time, numbing and tingling sensations in your limbs and malaise. It is not a common symptom of Pott’s disease and affects only 10 percent of the patients. However, it can result in huge neurological complications. You may experience cervical pain, strange stiffness, hoarseness, neurological deficits and torticollis. Victims of Pott’s disease need to be regularly examined for their reaction to the therapy they are getting. The development of the neurologic malformations, spinal deformities and obstinate pain are signs of bad therapeutic responses. Kids who suffer from the condition need to undergo a long term follow-up till the growth potential of their condition has been taken care of. Observation is imperative for all types of patients. You need to consult orthopedic surgeons, rehabilitation teams and neurosurgeons during your follow-up. Four-Drug regimen can be employed for treating Pott’s disease. Rifampin and isoniazid are administered throughout the treatment’s course. Extra drugs are given in the initial two months of the therapy. These are selected from the first-line medications such as streptomycin, pyrazinamide and ethambutol. Combination chemotherapy should be administered for six to nine months according to studies conducted by the British Medical Research Council. In some cases, the therapy is extended to a year and certain cases require surgery along with 4.5 months of therapy. Surgery is considered an option if the patient has neurological deficits such as paraplegia, parapresis or acute neurologic decline; spinal malformation with pain or instability; not responding to any medical therapy that includes the continuous development of kyphosis; non-sample of non-diagnostic percutaneous needle specimen; and large para-spinal swelling. The intensity of the vertebral destruction, lesion site and occurrence of spinal deformity or cord compression determine the operative procedure. Traditional approaches comprise of posterior stabilization and anterior radical focal debridement. Advanced procedures include thoracoscopic decompression. Rehabilitation depends on the kind of instrumentation employed during the surgical procedure, the individual’s preoperative status and the number of the spinal segments that have been fused. Rehabilitation aims to make the patient independent so they can move easily and take care of themselves on their own. Physical therapists guide them to practice stretches and exercises that help them gain motility. Individuals with paraplegia need occupational therapy to learn transfer techniques, bladder and bowel management, safe mobility on bed and ambulation. Early diagnosis is always recommended for motor deficit and deformity in Pott’s disease is extremely grave effect. Serious problems may be presented if the diagnosis gets delayed or the patient sees the doctor when the condition has progressed to the advanced stages. Your doctors may predict the development of the condition according to your symptoms. If Pott’s disease makes your cord compress and finally results in paraplegia, you may respond quite well to the chemotherapy. 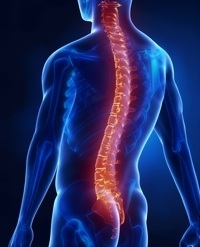 However, permanent destruction of the spinal cord can result in paraplegia that can interfere with the healing process. If medications do not help much in your case, operative decompression may offer an alternative treatment.